Shale shaker, mud cleaner, decanter centrifuge, centrifugal pump, mud agitator are basic and important equipments for land rig solids control system. GN solids control is specialist for these equipments, and we are trying to put them into mass production to improve the production ability and keep the quality stable. 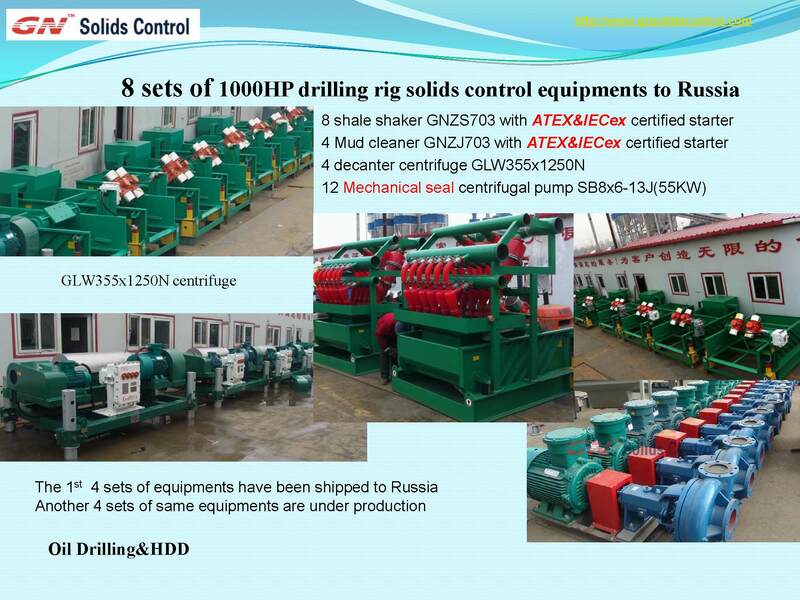 This month we shiped 4 sets of 1000HP land rig equipments to Russia. 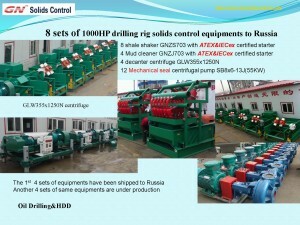 After we came back from Moscow oil & gas exhibition 2011,we get many orders from this region. If you have any inquiry of shale shaker, mud clenaer, desander, desilter , decanter centrifuge, centrifugal pump, mud agitator, pls contact GN solids control.